Sometimes not all of these goals are possible, but they are a good baseline to strive toward. One of the absolute best options, if possible, is to stay with friends who live in the city you plan to visit. Meeting up with people who live in your destinations not only offers an opportunity to reconnect with friends, but also to learn about good places to eat, drink, and sightsee. In many places, however, staying with a friend isn't possible. When this is the case, there are a multitude of accommodation options, from hostels to hotels to real BnBs to AirBnB to couch-surfing, and trying to decide which one is appropriate for each destination can be difficult. I'll try to give a run-down of each type of accommodation and some other tips. In all cases reading TripAdvisor and any other reviews of properties is absolutely vital! Learn to trust the masses: There will always be one or two people who have bad experiences, but if the majority overwhelmingly recommends a property, it is likely to be good. Look at customers' pictures, and don't let your opinion of a property become tainted by a single review claiming the property is the equivalent of the Bates Motel. As always, the more reviews the better -- I avoid staying at properties with only one or two reviews if I can help it. Tripadvisor is a great start, but branching out to other sites (such as Hostelbookers or Kayak) for reviews can also be a good idea if Tripadvisor is lacking. 1. Use hostels or hotels for one-night stays. 2. If planning to take tours and do day-trips, avoid types of accommodation where I might feel obliged to spend more time with my host. This means hostels or hotels for busy and tightly-packed stays. 3. Try to find friends to stay with when possible, provided I won't just be showing up for one night and then disappearing. While following these six guidelines, my secondary goal is to keep my average spent per night below $60. Considering the extensive amount of time I'll be spending in expensive destinations (Scandinavia, London, Paris, Switzerland, St. Petersburg), this seems like a reasonable target. Hopefully I'll get it even lower than that. 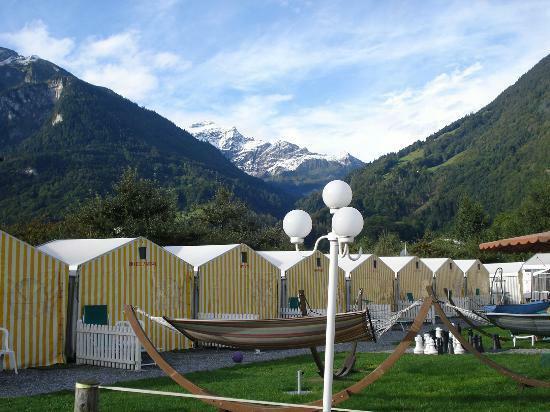 In Interlaken, I'll be staying in a tent. A tent hostel surrounded by mountains of course. Each tent contains several beds, complete with sheets, pillows, and blankets. I'll be sleeping in one of these! My last night in Stockholm, instead of having to wake up extra early to get to the airport which is 30+ minutes outside of the city, I'll be staying on a plane. There is an old 747 which is now grounded and has been converted into a hostel/hotel called JumboStay and I'll be staying there for my final night. While I didn't book the Cockpit Suite or Black Box Suite (I was tempted! ), I'm still really excited about it. ... Because I won't already be spending enough time on a plane flying home. I also have a mistake rate at a 4-star hotel in Copenhagen for my first night, but I have a bad feeling about it. $32 instead of $295 might not fly, but I'm going to give it a try! If it falls through, I'll probably try to extend my hostel stay for the next night or rely on Hotel Tonight. 1. Tripadvisor is my best friend, and it should be yours too. I can't say this enough. No matter what sort of accommodation I am looking at, Tripadvisor is my first stop. In the cases of AirBnB or Couchsurfing where Tripadvisor doesn't have information, I trust the reviews and avoid places with 1-2 reviews or references if possible. Don't be afraid to ask as many questions about the accommodation as you feel are necessary. 3. The blind-bookings on Hotwire and Priceline can be good resources for hotels, but only when you are OK with any of the potential options. In many European cities, this is not the case, since there are often a few really poor 3 or 4 star properties you'll want to avoid, and you wouldn't be able to do so through Hotwire or Priceline (although they now show you the Tripadvisor rating for the property usually -- A very useful thing to look at before booking). The best places for Hotwire or Priceline are smaller cities and places like Scandinavia, where all the options are high-quality. Yet again, Tripadvisor is also good way to judge when Hotwire or Priceline could be best: When all the possible options are very close together (if you care about location) or when they are all rated highly (if you care about quality), often using either site can be a good option. 3. For chain hotels (see my rant below), avoid using booking sites like Orbitz or Expedia because those rates often are ineligible for any loyalty program rewards directly from the hotel. Instead, try to go through a portal found via Cash Back Monitor and book directly on the hotel's website. 4. If not booking a chain hotel, always make sure you are getting some sort of benefits or rewards back if possible. Especially for a longer trip (or if you are staying in places for one night), going through cash-back or other reward portals can add up, and they have offers for almost every major hotel booking site (as well as the Hotel's own site in many cases too). Use a site like Cash Back Monitor to find a suitable portal. You can get 3% back on Hostelbookers, 5-7.5% back on Orbitz, and 5.5-7% back on hotels.com. My preference is hotels.com, which I explain in tip #6. 5. Best rate guarantees can be an a great way to score free or discounted hotel nights. 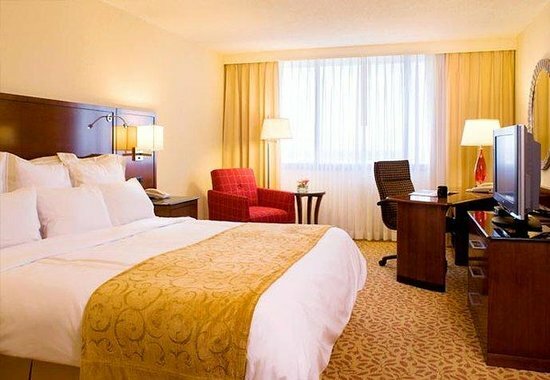 Many sites and hotel chains have their own variation of a best rate guarantee, and if you can get your claim approved, it can be an easy way to heavily subsidize your stay. Unfortunately, getting these claims approved can sometimes be a pain, but in many cases it's worth the effort. I don't have too much experience here, but I did manage to get one approved with Orbitz: Expedia was offering a hotel for $110 and Orbitz was offering the same room for $159. 6. Many major booking sites have their own loyalty programs which offer even more money back... My preferred choice is hotels.com, which effectively gives 10% back on every booking through their Welcome Rewards program, and that rate is the best in the industry that I am aware of. Many sites offer bonuses or discounts for bookings of multiple nights, and often these are worth $20-$100 as well. For example, Orbitz currently gives 15% off all eligible hotels (until June 1st) by using the promo code "GETHAPPY" in addition to their usual 3% back through Orbitz Rewards, and Hotels.com currently offers $20 off a 3-night booking by using the promo code "REBATES14". I can usually get a hotel at a minimum of a 10-15% discount, not counting the 3-7% back I get through tip #4. 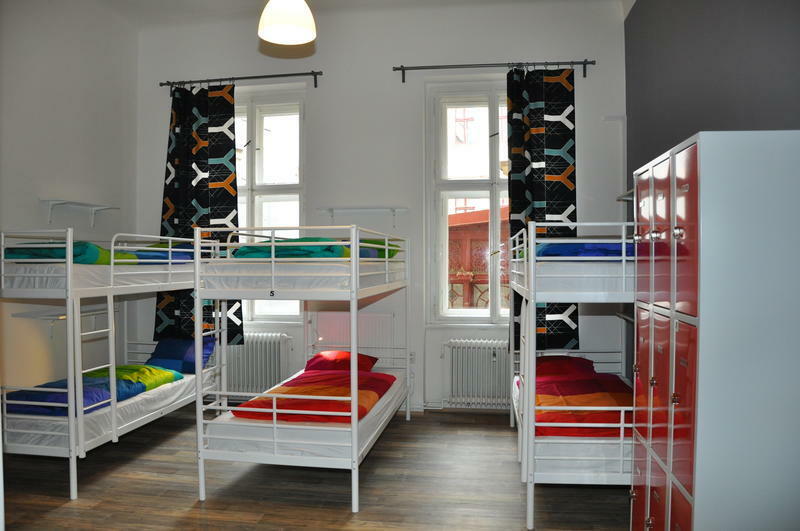 For hostels, it is more difficult to get much back, although sometimes the major booking sites will offer rooms at hostels too. For example, I booked my night at JumboStay (the 747 hostel/hotel) through Hotels.com for the same price I could have gotten through a hostel booking site. Even though it might not sound like it is worth the trouble of going through these steps when booking hotels, the benefits add up quickly, especially when booking close to 54 nights worth of lodging! Using my JumboStay booking as an example, the private room I booked cost $108. I will get 10% of that back from Hotels.com's loyalty program, and 5.5% of that back from the portal I used to click through to Hotels.com. After both of these, it will really only cost me $91.26... And that's without any promo codes. Not bad! 7. Other noteworthy sites I haven't mentioned yet include Rocketmiles and PointsHound which offer airline miles for hotel stays. Rocketmiles offers a minimum of 1000 miles a night, while PointsHound offers 100-1000ish... Rocketmiles has a more limited collection of hotels, but they usually offer a lot more miles than PointsHound. Both are worth checking out depending on the circumstances, and although I still feel I can do better on balance by booking through Hotels.com, I do use both sites from time-to-time. If you do happen to join using either link, thanks! I get the same amount of bonus miles (1000 or 250 respectively) for a referral after you book your first hotel. 8. I'm still learning new tricks and options all the time, and you'll learn new tricks as you go too. There are more booking sites than stars in the sky, and there are always new complications and ways to maximize each hotel booking. I learned a lot by messing things up, and while I kind-of hope that isn't the same for everyone, it is a learning curve and you will miss out on some opportunities... Don't let that discourage you at all. Hostels are fun, but it can often be difficult to get a good night of sleep when you are staying with multiple other people in the same dorm, and if you stay out drinking until three in the morning every night, you definitely won't get a good night of sleep. Of course, ironically, these same people who may be preventing you from sleeping also may be the reason you are at a hostel in the first place: Even if you go out and actively seek other people at hotels, nothing can compare to the social environment of a hostel, and as a single traveler, meeting other people along my travels is an important consideration. Finding an affordable centrally-located hostel is also much easier than finding an affordable centrally-located hotel, especially in some of the bigger European cities. Hostels have a stigma associated with them that suggests they are only for dirty partying backpackers. There are some hostels that cater toward that audience, but there are tons of hostels which are clean, quiet, friendly, and open to people of all ages. Staying in a hostel doesn't mean staying in a dump, especially if you do your research. There are even options with en-suite bathrooms in many places. For how long? : I have overnighted at a hostel and spent an entire week at a hostel. Spending more than a day is better if you really want to get involved in the social scene, but hostels can also make a great crash-pad for a one night stay. Price per night: Depending on the location, good hostels are usually $20-$40/night for a dorm and $50-$100/night for a private room. Cheaper options are often available, although for hostels I care far more about quality than price provided it is under $50/night. One of the best hostels I ever stayed at: Hostel One Home in Prague. The facilities were great, the beds were comfortable, the location was central, and the people were amazing! AirBnB is a relatively new and rapidly growing resource for short-term rentals of apartments and houses. The term BnB may give an incorrect impression: While there are some properties whose owners offer fantastic BnB-like service, there are many others which offer a more hands-off approach. There are listings for everything from a converted 18-wheeler to a couch or private room in an apartment to to an entire beach house. AirBnB is a great compromise between staying in a hostel and staying in a hotel: You get to meet a local host who usually can offer advice on the destination you are visiting, you get to see the destination from a very different point-of-view by staying in an apartment or house, and you get the privacy of having your own room. Different hosts have different levels of involvement, and AirBnB has their own rating and review system set up for guests to provide feedback on their stays. There are over half a million listings around the world, and AirBnB can often be cheap option to enjoy the privacy of having your own room while not compromising on safety or the social aspect of travel. For how long? : While one-night stays are feasible, I personally feel it is both inconvenient and rude to only stay for one night. The process of conversing with a host and meeting to get a key to the apartment isn't bad, but it's not something I am willing to do for one night. I think two nights is the absolute minimum for AirBnB, and I tend not to consider it unless I am booking at least three nights in a destination. Price per night: Depending on the location, AirBnB options are generally $20-$50 for a shared room or bare-bones couch, $50-$125 for a private room, and $80-$300 for an entire apartment or house. If you decide to sign up, I'd appreciate it if you used my referral link. I get a $25 credit when you book your first stay, and you get $25 credit toward that stay: Sign Up for AirBnB! Couchsurfing is an extremely economical way to find a place to sleep at your destination: It's free! Before you suddenly think you have found a ticket to a free lunch though, couchsurfing is very community-oriented, and you should only consider it if you have an interest in interacting with and spending time with (usually very friendly) strangers: To participate, you need to be willing to dedicate some time toward finding a potential host, checking on what type of accommodation they have, and getting to know your host beyond a few awkward exchanges of pleasantries. Couchsurfing is more about meeting other travelers and fostering a community of generous (and not free-loading) people. Remember, these are people inviting you into their homes. Couchsurfing is like a no-frills version of AirBnB with more social emphasis -- It certainly is not for everyone, but can be a fascinating way to see a destination from a very different perspective and an amazing opportunity to meet locals and fellow travelers. Because couchsurfing is very informal, there are very few standards for any sort of host. Some people might have a bed, some might have a floor, some might have something in-between. Some might host more than one couchsurfer per night, others may have multiple other housemates, and others may have twenty-seven cats and a gerbil named Harold. Hosts may live two minutes from the central station, or they might live multiple miles from the nearest metro station. Know what sort of situation you are getting yourself into beforehand, and make sure you are comfortable with all of the arrangements. Be sure to read profiles, and remember that you want to be someone a host might be excited about meeting and spending time with for a few days (and you should be excited to meet your host too! ), not someone who is solely in it to save a bit of cash. For how long? : I personally feel it is both inconvenient and rude to stay at a couchsurfing host's house for less than two nights, and I usually aim for at least three nights. The process of getting to know and trust a host and meeting to get a key to the apartment is rewarding but time-consuming, and it's not something I am willing to do (or would want to make someone else do) for one or two nights. Personally I feel two nights is the absolute minimum for Couchsurfing, and I tend not to consider it unless I am planning at least three nights in a destination. In addition, staying for at least three nights allows you time to become comfortable with your host, and may even mean they'll have time to show you around their hometown. Price per night: Free. While you aren't expected to pay to stay at a host's house, bringing a gift or buying a drink or two is a polite and friendly gesture. If you are interested in Couchsurfing, there is a great post on it on MileValue's site here. Hotels are, of course, the most common option for most trips. They're convenient, they're reliable, they offer privacy, and they get old quickly. I like to be able to look around wherever I am staying and be able to figure out if I am in Oklahoma or Paris, and all too often, hotels don't cut it. There are some great hotels out there that I'd love to stay at, or that I have really enjoyed my stay at, but they are rarely Hiltons, Hyatts, or Marriotts, or if they are, they are way out of my price range (read: upwards of $500/night). Sure, chain hotels offer reliable value, but they rarely offer the feeling that you are somewhere exotic or interesting. I can definitely understand redeeming hotel points for a few nights at a unique or luxury hotel that is part of a chain, but I don't like the sterile feeling of being in "just another Hilton". I prefer smaller, non-chain options whenever I am considering staying in a hotel. Non-chain hotels with good reviews on TripAdvisor often provide great experiences beyond just comfortable and private beds, and they are more likely to help immerse you in the culture of wherever you are visiting (inasmuch as a hotel can do so). Maybe I'm just a stingy budget traveler, but I prefer to aim for 3-star (or extremely well-reviewed 2-star) hotels when I do opt for a hotel. I don't need overwhelming luxury, I need a comfortable bed in a reasonable location that won't cost me a fortune. I find it hard to justify having my toilet paper folded into a neat little triangle when I plan to spend the entire day out of the room anyway. For me, hotels are necessity to recharge, but outside of recharging they are not my go-to option unless my other choices are very limited. I don't feel like I need to say too much more about hotels other than getting on my soapbox about staying in boring chain hotels in far-flung destinations. Marriott Paris, Marriott Rome, or Marriott Tampa? Sorry, I lied about getting off my soapbox. The correct answers are (highlight to see): 1. Marriott Champes-Elysees, Paris - Starting at only $485 a night! 2. Marriott Tampa - Starting at only $129 a night! 3. Marriott Grand Hotel Flora, Rome - Starting at only $430 a night! The moral of the game? Even if you got all three right, chain hotels tend to have relatively standard offerings. You know what you are getting -- Chain hotels offer a reliable product, but it's unlikely you'll have a fun story to tell after you check out. In fact, it's unlikely you'll even remember the hotel at all, since it'll blend in with any other hotels you stayed in. I'll try to put up one more post before I leave, but for now let me just offer a friendly reminder that it always pays to double-check your reservations whenever possible: I happened to glance at my SAS reservation for Thursday and noticed that I had somehow been reassigned to a middle seat for the long-haul portion of my trip! A quick phone call sorted it out, but it'd have been a far more unwelcome surprise at the airport.